In 1798, Charles Brockden Brown published the first novel written by a professional American author: Wieland: or, The Transformation. Brown’s tale of a patriarch compelled to murder his family under the influence of religious voices was quintessentially gothic. More importantly, however, it was based on a true story. Inspired by the case of James Yates, a New York farmer who murdered his wife and four children after purportedly hearing the voice of God, Brown’s novel attained cult status among nineteenth-century readers, underscoring the American public’s appetite for murder narratives drawn from real life horrors. Over the past two centuries, this fascination has resulted in the steady rise of the true crime genre. So prevalent, in fact, is the “based on a true story” murder narrative in American popular culture that it has adopted multiple forms, completely saturating the mainstream media. Most recently, the first season of Sarah Koenig’s podcast Serial (2014), which examines Adnan Syed’s alleged murder of Maryland high school student Hae Min Lee, became the fastest podcast ever to reach five million downloads on iTunes, while the Netflix series Making a Murderer (2015), which follows the story of Steven Avery, a Wisconsin man charged with first-degree murder after serving 18 years in prison for a wrongful sexual assault conviction, sparked so much public outrage that a petition for President Obama to pardon Avery gathered over half a million signatures. Faced with an abundance of hard-hitting true crime narratives, the question thus remains: what is it about such accounts that makes them so popular, especially in the U.S.? And what, indeed, does the enduring obsession with murder and true crime reveal about American culture at large? Novelists, journalists and academics have all explored the cultural work that these narratives perform, seeking explanations for the lasting draw of true crime. Critic Jean Murley, for example, argues that “True crime is a way of making sense of the senseless, but it has also become a worldview, an outlook, and a perspective on contemporary American life, one that is suspicious and cynical, narrowly focused on the worst kinds of crimes, and preoccupied with safety, order, and justice.”  For Morley, then, American culture’s fascination with true crime is grounded in the genre’s ability to explain why crimes are committed, thus taking the “senselessness” out of these crimes and returning us to the comfortable realm of rationality. Beyond this, however, Morley also implies that true crime offers a reflection of American life and culture that runs counter to the dominant national narrative of social progress and enlightenment. The need to make sense of individuals we see as monstrous and therefore other perhaps also points to a case of good old-fashioned human curiosity, for if the true crime narrative indeed so harshly repudiates the belief in our ability to act as rational, law-abiding citizens, what possible other reason could there be for gobbling up such spectacularly pessimistic stories? The staggering volume of true crime narratives we come across on a daily basis, paired with the accessibility of information now on the internet has, to an extent, turned us all into desktop detectives. 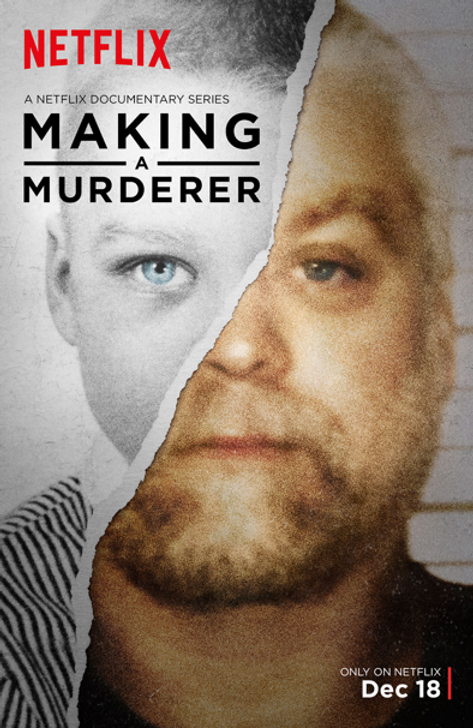 We watch, read, and listen to tales of human monsters, hoping that if we cannot glean their motivations for committing the crimes for which they stand accused, we might find something that others missed – something that perhaps exonerates these individuals – as demonstrated through the public reactions to both Serial and Making a Murderer. After all, these narratives have taught us a lot about how to speak intelligently about crime. Solving them, however, should probably be left to the professionals. Article edited by Louise Adams and Tess Goodman. 1. Jean Murley, The Rise of True Crime: 20th Century Murder and American Popular Culture (London: Praeger, 2008), 2. 2. Eric Savoy, “The Rise of the Tenant: A Theory of American Gothic” in American Gothic: New Interventions in a National Narrative, eds. Robert K. Martin and Eric Savoy (Iowa City: University of Iowa Press, 1998), 172.